Jose Mourinho and Arsene Wenger are reportedly set to go head to head in the race for West Ham star Dimitri Payet. The French forward has attracted strong interest from a handful of top European clubs over the past few months, with Arsenal and Manchester United being the most potential suitors, while Paris Saint-Germain continue to monitor the situation. 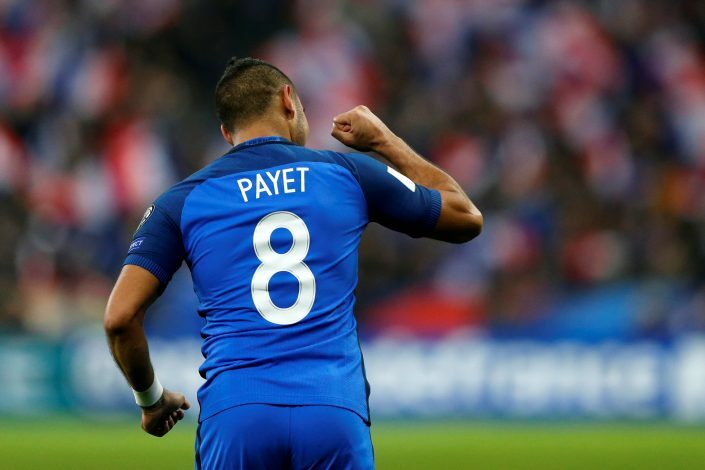 Payet had an excellent debut campaign with the Hammers last term, and maintained his rising performance graph in Euro 2016 with France as well. While his performances this season haven’t lived up to the expectations, both Arsene Wenger and Jose Mourinho believe he still has the potential to succeed at a top club. Mourinho is desperate to leapfrog his old rival Wenger to the 29-year-old’s signing, despite the Arsenal boss watching compatriot Payet’s progress for quite some time. Arsenal are reportedly ready to make a move for the midfielder in January by offering him a way out of a struggling West Ham side. The same report also claims United have recently put the wheels in motion to make a January deal happen, and have informed sources close to Payet to keep them notified about the situation. But West Ham are reluctant to let go of their star performer, and clarified their intentions by making him the club’s highest-paid player in their history when they gave him a £120,000-a-week contract last season. However, they now face a stiff fight on their hands, with United believed to be ready to offer him £220,000-a-week. West Ham have been heavily linked with a loan move for either Anthony Martial or Marcus Rashford, as Slaven Bilic is keen to solve his striker crisis, but Mourinho will be reluctant to make his young duo part of any swap deal in his desperate attempt to bring in Payet.